Some use cases: The handle of your fridge broke? Print a new one! You’ve missed the birthday of your girlfriend? Print a last-minute present as unique as it can get. All those smartphone holders don’t match your car model? Design your own one which carries your favourite sandwich, a coke can and your smartphone – all in one. Use the fancy glowbug plastic filament and make it even shine in the night! Having a printer myself for more than three years now I can put myself in the “believers corner” right away. I think that 3D-printing will change the way we interact with objects. The predicted third industrial revolution  could change the hierarchy of consumers in a world of mass production. I’LL STOP IT RIGHT HERE! Before I get too philosophical, let’s hope that we can agree on this: Having your very own 3D-printer is pretty cool! Working part-time at ERNW gives me the luxury of being employed at the finest company I’ve seen so far, surrounded by the talent of my colleagues and still being able to pursue my own academic career, which involved 3D-printers since early 2011. After an university team project on the precision of such a low-budget machine  I was completely hooked. Within the next years I helped to further develop the Dutch-made Ultimaker 3D-printer within their vibrant open-source community. One step leads to another and now I found myself writing a 350-page entry-level book  on 3D-printing for the renowned Hanser publisher as my bachelor thesis. A small step for human mankind, a giant leap for myself. Being quite busy with the book I asked my colleague Niklaus Schiess to look closer at the most popular project, called OctoPrint. The idea was to find some public-facing instances running in the Internet and see how far we can go from there. A day later he wrote back going into detail how port scans could do the job. Well, that’s boring. More interestingly he mentioned that there’s a quite elegant way to do it via Google hacking! By collecting those publicly available commit version strings and searching for them with an intext command on Google you could find several instances. Deep insights into a friend’s living room. Funnily enough Niklaus didn’t find just some random OctoPrint server running, but one of a 3D-printer fanatic I know personally from the community. With just one web search and the click of a button we were looking into the living room of my friend Gregor Luetolf, who’s running the incredible 3drucken.ch blog. Why is There a Live Stream? And What Else Could Go Wrong? By adding the Pi camera (or any other webcam) onto your Raspberry board you can get a live stream via OctoPrint to monitor your print. Even cooler: You can automatically create time-lapse videos of the printing process. Besides that you can control everything you could do on the printer itself: Move axes, start and stop prints, run customs machine codes (e.g. manipulating the behavior of the firmware) and also setting the temperature of the print head. Controlling the temperature of the print head isn’t a feature you want to have publicly accessible! In case your 3D-printer vendor didn’t set maximum temperature limits correctly, an unscrupulous attacker could dial in a temperature, which is higher than the melting point of Teflon (which is commonly used within print heads to prevent cold plastic to get sticky in the inside). Starting from just 300 °C (bear in mind that some common 3D-printing filaments are printed at up to 260 °C) toxic polymer fumes are emitted. Their effects (also known as Teflon flu) can lead to serious lung injuries within seconds. If the answer is yes, it will be a good idea to sign up for TROOPERS14 (17-21. March), where Gina might join us to talk more about her project and its security. In collaboration with the wonderful RaumZeitLabor hacker space we’ll have a variety of 3D-printers on site – ready to print your ideas. I’m sure that together we can make the 3D-printing world a bit safer (and still have fun at the same time). Take care & happy printing/hacking! PS: I think we should have a “hack the printer” challenge at TROOPERS14 this time… what do you guys think? 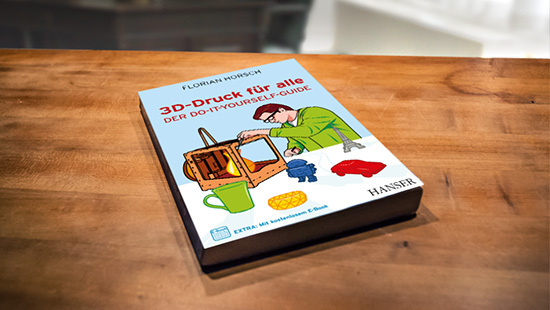 : The book 3D-Printing for everybody (original title: 3D-Druck für alle) will be available starting on 9th of December in your local bookstore or on Amazon. An English version will follow soon. It is cool if we could set up a cloud printer using RPi and camera module. I am wondering if such configurations are only accessible for open source 3D printers. For example, I have a makerBot replicator 2X, Is it ok to use octoPrint and Rpi. IS there some instructions to follow ? sadly MakerBot is a bit closed for this kind of fun. 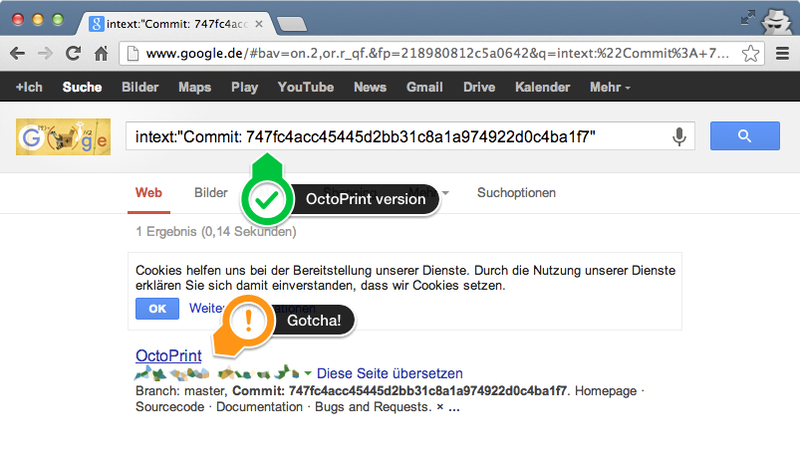 There is some chatter going on here: https://groups.google.com/forum/#!topic/octoprint/oqUryqy6WaQ So it might get added in the future. 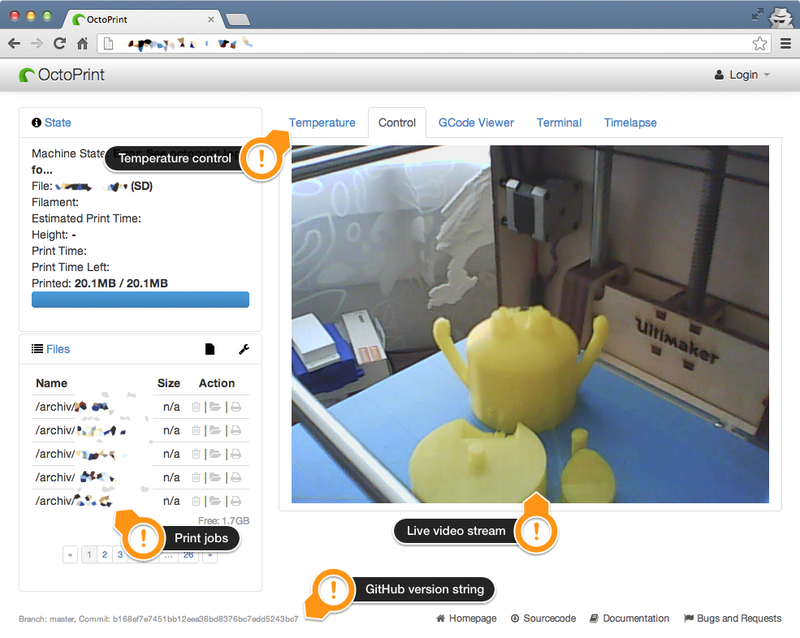 Until then you could look into http://doodle3d.nl/ – it works with the MakerBot out of the box and should offer the same functionality like OctoPrint.